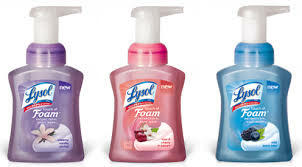 Hurry over HERE and request your FREE Sample of Lysol Touch of Foam FREEBIES like this won't last long. Wow, this is the first time that I have had to enter my zipcode for a FREEBIE on Target. Come back and let us know if you score!